Discussion in 'Science Fiction & Fantasy' started by od0_ital, Feb 4, 2019. First off, thanks for the votes, folks, and a round of applause for auntiehill & dodge who got the same amount of votes, but bowed out from any kind of tie-breaker & conceded victory to me. Yay me! 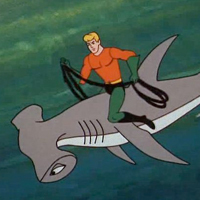 This week's contest will be all about DC's highest grossing superhero, Aquaman! WTF?!? Who saw that coming?!? No, seriously, the solo film has banked more at the box office than any other DC superhero. Wow. Freaky. 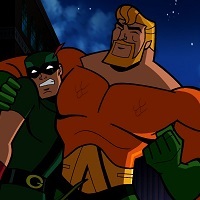 Aquaman has been used as a character in cartoons, animated movies, live action television, live action movies, and videogames over the last forty plus years. So, plenty of source material for entries. Standard rules apply - up to 200x200, and not too animated, I forget the limit. Ya can have two entries per poster, since other contests have had that lately. Entries will be accepted from now until Friday morning. Cover art of Aquaman (Vol. 8) #25, by artist Stjepan Šejić. 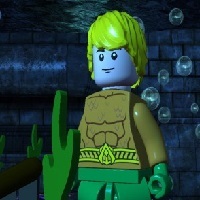 When you say Aquaman Is it just Aquaman the person, or is Aquaman related stuff also allowed? If the latter, these would be my entries. 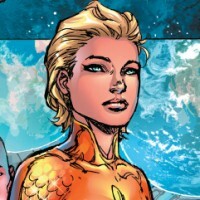 Aquawoman of Earth-11, and of Justice Incarnate multiverse defending team. Eh, I'll allow it. Was originally thinking just Aquaman, but why limit it, right? So, yeah, Aquaman and Aquaman related characters. From "Justice League", Season 1 Episode 7: "Enemy Below, Part 2"
Fair enough. 1 MB is the limit, right? Usually is, though you as the runner of the contest are free to set the limit as you see fit. Hopefully now that his movie has been a big hit, things like this will stop happening to poor Aquaman. Orac and Kai "the spy" like this. Kai "the spy" and CorporalCaptain like this. Aquaman pilot that wasn't picked up. Maybe This Is Us can use it for one of Kevin's early roles. Alright, I've got some stuff to do this morning, so the poll will be posted around lunch-ish CST if anyone else wants to play along! Finally back from doing stuff I needed to do today! No more entries! Poll will be up shortly!